Home / contest / Restarting life at fourteen. Born to a single teenage woman who worked as a housemaid. So poor she had to wear clothes made of potato sacks as a child. Raped at age nine by her relatives. A runaway at age thirteen. Pregnant by age fourteen, losing her child in infancy. Rather than give up, this girl decided to restart her life. She joined back in school, choosing education over all else. She became a Honors student and eventually moved on from her part-time job as a grocery girl to doing what she enjoyed most: talking. She talked her heart out as a radio-anchor and her positive energy soon garnered her a small fan-base and a spot on a low rated morning show on television. Oprah Gail Winfrey has never looked back since then. Few would have bet on her succeeding in the media industry when she started out. She was an African-American in a prejudiced time, overweight and suffering from severe self-esteem issues. What noone counted on was her big heart. The Oprah Winfrey show differed from others because she preferred to empathize with her audience and guests rather than judge or grill them. Her show consistently broke network records for decades, challenging stereotypes when necessary while also allowing her audience to smile and have fun. She was sassy, funny and loud, yet could be tender and forgiving when required. She was the friend you wanted to have, the one you knew you could trust not to judge you for your follies. People listened to her and believed in her opinions and it was a responsibility she took seriously. By the time Oprah played out her final show to a tearful audience, she had been termed the 'most powerful woman in the world' by CNN and 'One of 100 people who influenced the 20th century' by Time. In Life magazines '100 people who changed the world', she was the only living person to make the list. In a career spanning three decades, she has hosted everyone from Presidents to hurricane victims, sharing jokes with the former while surprising the latter by rebuilding their homes and paying for their children's education. The first African-American billionaire, she has donated over 400 million dollars to educate the poor, often stressing how education was the key to her own success and willing them to do the same. She should have been just another statistic of lower class livelihood. After all, we in India see so many similar young children falling victims to poverty in our country every day. The difference is that this girl who was raped, homeless and a mother by age fourteen did not give up on life. She aspired to be more. And she knew to learn from her past mistakes and give to others that which she yearned for most as a child - a non-judgemental heart, an open ear, a kind word and a warm hug to remind everyone that somebody still cared about them. Can you imagine a woman in India who's gone through the hell this woman went in her first few years, going on to become an international icon? Oh. I am very much aware of what happened to Sunitha Krishnan. That is another lady I greatly admire for the stand she talk, especially considering the time when it happened. I've always been inspired by her grounded nature during her shows. She can make you laugh or cry at will, without resorting to gimmicks. i didn't know her beginnings were like this. nice one doc. Thanks Nags. Not many are aware of the tragic story of her early years. Wow this is informative and truly inspirational. As said...it was actually easier to give up ! India is filled with literally millions of children who really could have used a story like this to seek inspiration. To know that their past does not make them who they are.. its what they make of the rest of their lives. Inspiring post, Roshan..and these words: "And she knew to learn from her past mistakes and give to others that which she yearned for most as a child - a non-judgemental heart, an open ear, a kind word and a warm hug to remind everyone that somebody still cared about them." As I mentioned on Twitter, she is an inspiration to me. I loved watching her show as a kid when these channels first came to our country. Its only a decade later that I found out what she went through to reach here and my respect for her has only increased. WOW! I didn't know she started this way. She has spoken of it in many episodes over the years, but doesnt choose to let it define her. She moved on and became what she is today, rather than be defined by her tragic past. I have always been an admirer of this lady.. As you rightly said she could have easily been misled or would have taken a wrong path considering her childhood history.. But she stood strong and never gave up..she is an inspiration to millions.. I watch her show regularly. She is every empathetic towards the needy, the diseased and the sufferer.. Nice post..she really is as beautiful as her work..!! Same here Priya. I still stand by what I say - it was easier to give up at that stage. Definitely most of us may have given up in life when after all that she went through, she lost her child at the age of 15. She is a true image of strength and deserves all the applause she has gotten over the years. She has been an icon. Very well said instead of becoming a mere statistic she went onto become a force to reckon with - a lady to look up to. Hats off! Thanks Roshan for sharing this. A true lesson to many of us who fall down on the way and let those falls stop us from pursuing our dreams. .
definitely agree. You don't lose till you give up. Thanks Vinaya. I loved her shows as a child when they first came to us via cable. But it was only years later that I read up on her past. I just felt that people needed to know the hardships she went through to reach where she is today. This is one of the most touching and informative posts I have come across in recent times. 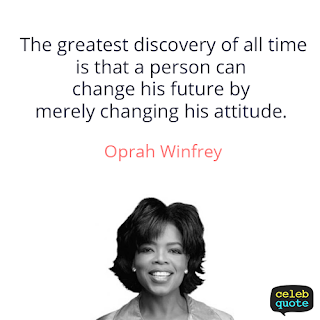 Call it my ignorance , but I absolutely had no idea about how Life had treated Oprah before she became - 'The Great Oprah'..I am going to share this post. Hope that's fine with you.